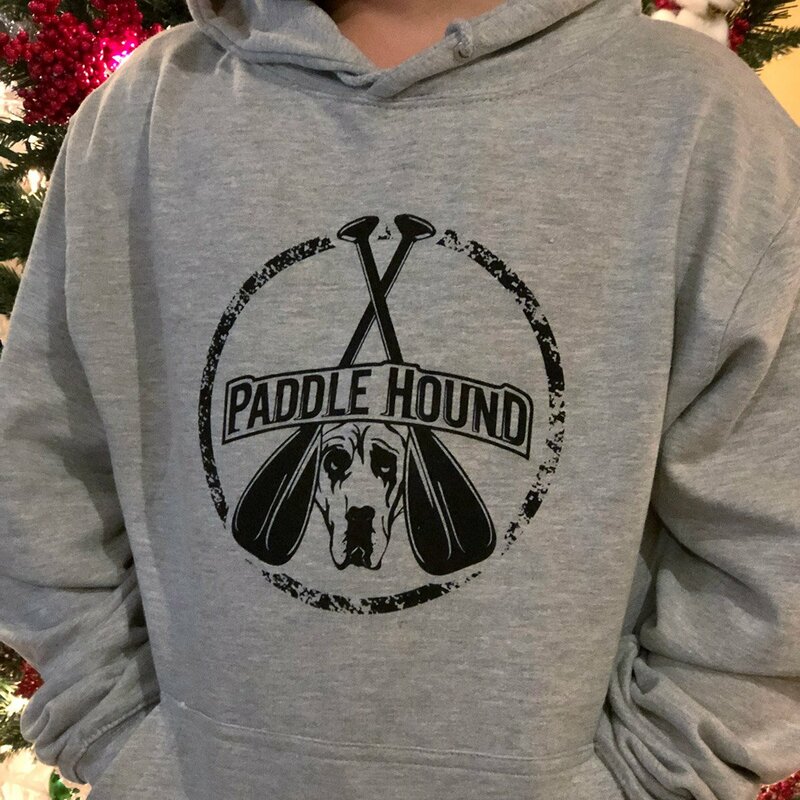 Our clean and stylish classic hoodie is made of soft, ringspun cotton and polyester for a long life. 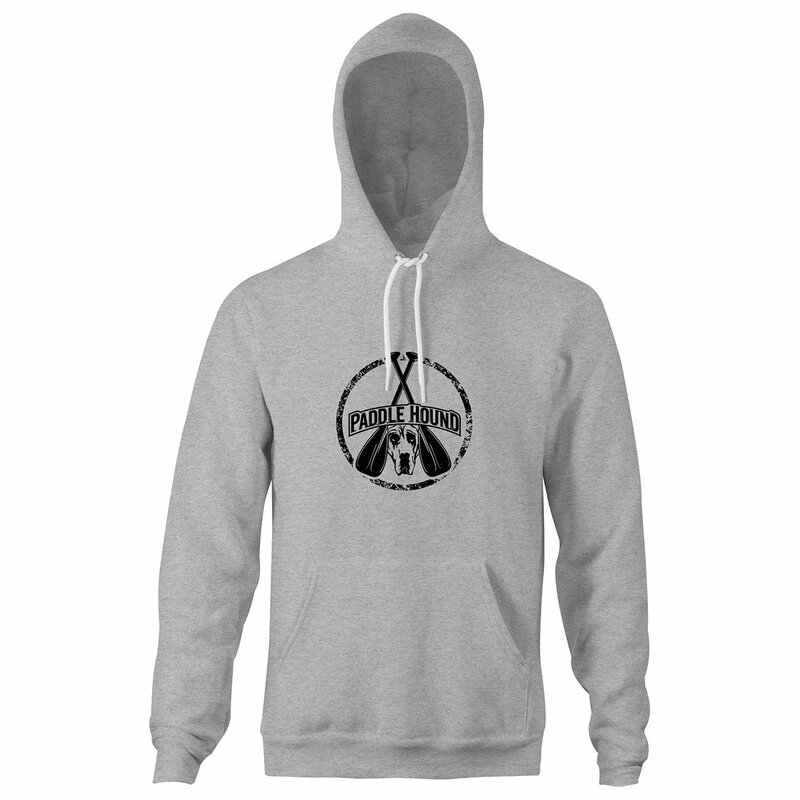 This midweight hoodie weighs 8.3oz so you’ll have no problem staying warm this winter. There is a small hidden opening for a headphone cord feed inside the pouch & hood. 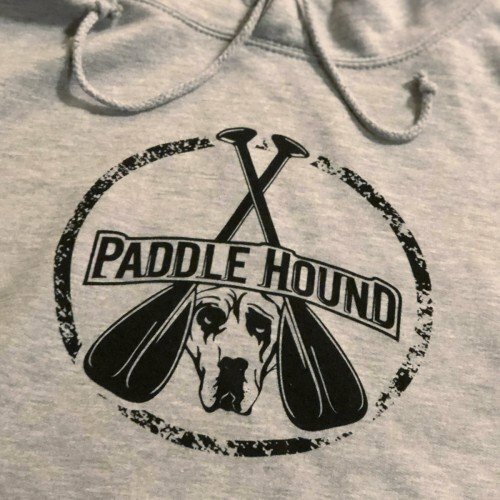 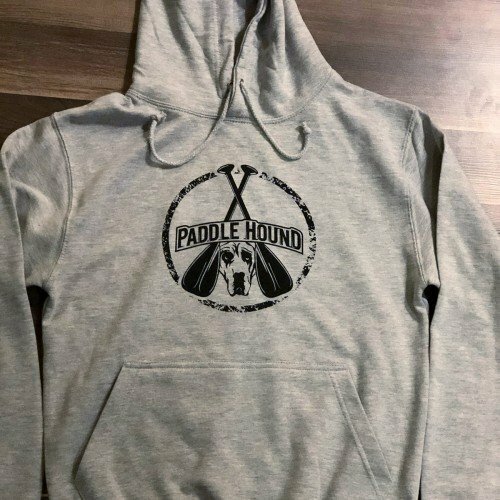 This cotton hoodie is guaranteed to keep you toasty no matter the conditions and comfortable enough to wear anywhere; featuring the large distressed Paddle Hound logo centered on the chest. Added bonus…FREE Paddle Hound stickers!